Chefs may know everything about the contents of this book, but few would have dared write it down so frankly. As Bourdain reminds us, “good food, good eating is all about blood and organs, cruelty and decay”. Not since Orwell’s Down and Out in London and Paris has there been such a frank look at the artists of the kitchen. This is the book for the chef, who has tied his drunk dishy to the sink in the hope he’ll make it through service, or bailed out their second chef so they could come to work. Forgiven just about every anti social behaviour because the hours are inhumane and it takes more stamina than most normal people naturally have to be good at. It is the book for the chef who has forgiven and forgiven his most loved and most talented staff for every misdemeanour from coming to work stoned to going missing for a couple of days and much worse. It is the book for the good domestic cook who believes in near death experiences and wants to open their own restaurant. It is the book for every chef who has worked sixteen hour days plus for most of their lives, had good employers, bad employers, gone broke, made fortunes, worked with good people, bad people and marvelled at sheer driven genius that can put magic on a plate. It is about mystical synergy of the culinary magician who makes the perfect bread, can trick and cajole the perfect souffle from the humble egg; it is about the chef who will work for days for the great dinner for hundreds without ever questioning why. It is for the chef with the dream of the most fabulous restaurant with the most fabulous food and the dream that tumbles with their money or someone elses into the ashes of their ambitions. Bourdain knows the adrenalin that gets you through an eighteen hour day and leaves you sleepless thinking of what next, or still arguing about food in some scruffy bar when the sun comes up, just a eye blink before you have to start work again. 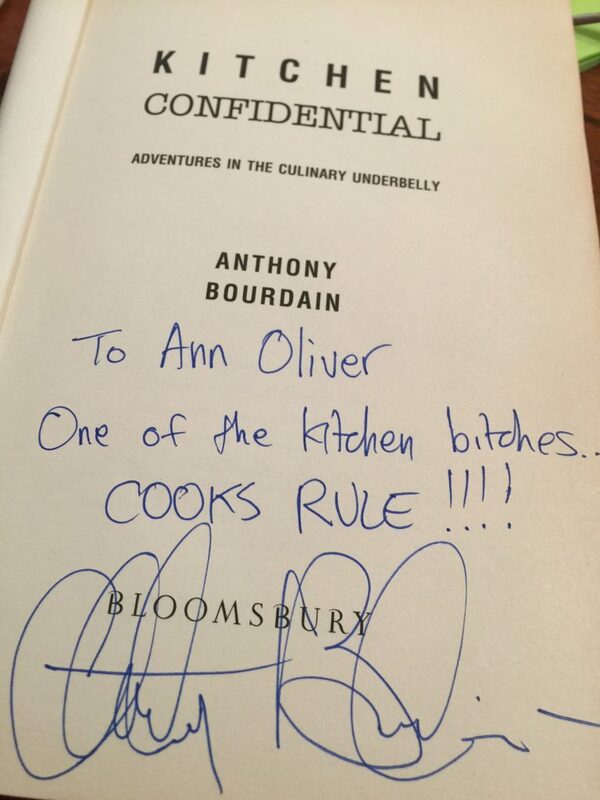 Bourdain has written about a lifestyle that few outside ‘the family’ would understand, will understand. Bourdain writes about the super tough women that survive in testosterone hell, who find their way to the top and stay there without thinking for one second they cannot cut the pace. 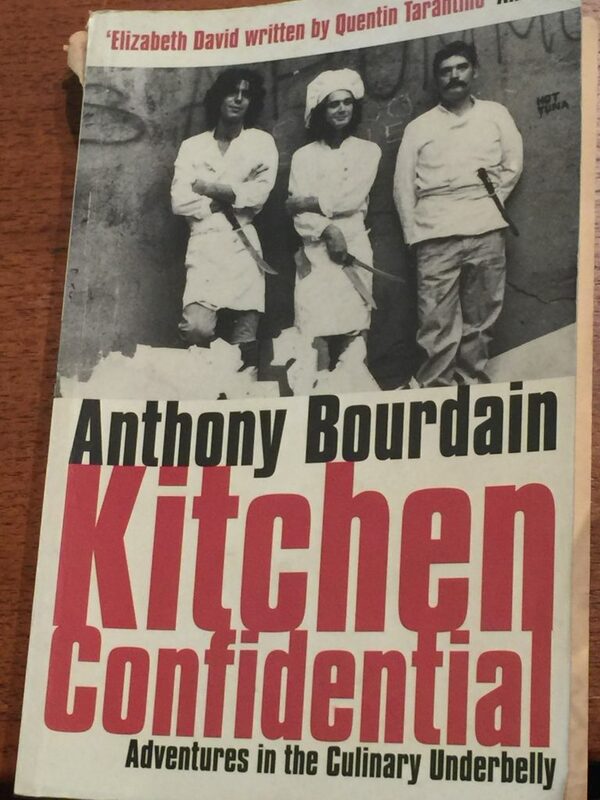 Kitchen Confidential borders between Hunter S. Thompson’s Fear and Loathing in Las Vegas and the more modern Jello Salad by James Billincoe. It is a riveting, shocking read that will leave ‘families’ reliving some of their best and worst moments, and the public wondering if they should ever enter a restaurant again. No one is left untouched, but for those diners who still insist on ‘well done’ we refer you to page 69.